After what was a record month for Maryland casino gaming revenue in October, gambling revenue eased in November, though two of the state's three largest casinos saw healthy gains in year-over-year gambling. WASHINGTON — After what was a record month for Maryland casino gaming revenue in October, gambling revenue eased in November, though two of the state’s three largest casinos saw healthy gains in year-over-year gambling. The state’s six casinos generated $140.1 million in gaming revenue in November, down from a record $158 million in October but still up 7.3 percent compared to a year ago. The state of Maryland gets $57.4 million of that, including $43 million for the state’s Education Trust Fund. 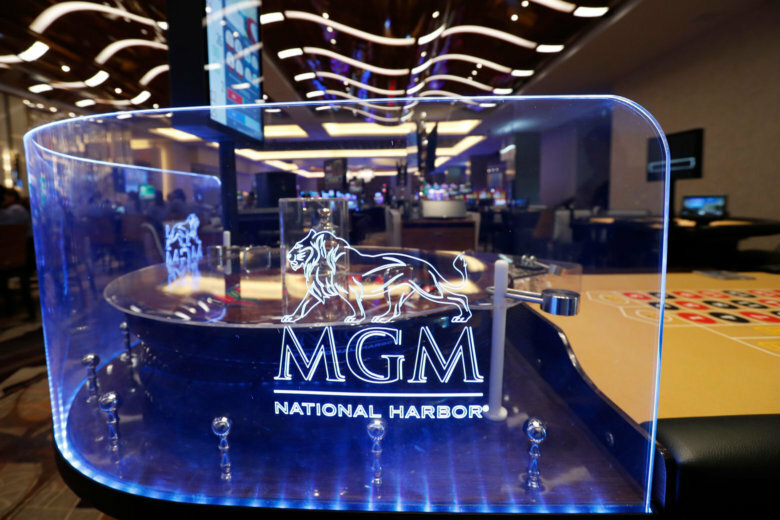 MGM National Harbor, which opened in December 2016, accounted for 41 percent of all gaming revenue last month, at $57.3 million, up 13.2 percent from a year ago. Live! Casino & Hotel at Arundel Mills had $48.7 million in November gaming revenue, up 12 percent from November 2017. Baltimore’s Horse Shoe Casino stumbled in November, with $19.5 million in gaming revenue, down more than 14 percent from a year ago. Hollywood Casino Perryville had $5.4 million in November gaming revenue, down 5.9 percent from a year ago. Rocky Gap Casino Resort had $4 million in gaming revenue, down 2.7 percent. But Ocean Downs Casino’s $5.2 million in November gaming revenue was up 34.3 percent from a year earlier. Maryland Lottery and Gaming regularly posts monthly and year-to-date contributions from the state’s casinos online.